Look!!! 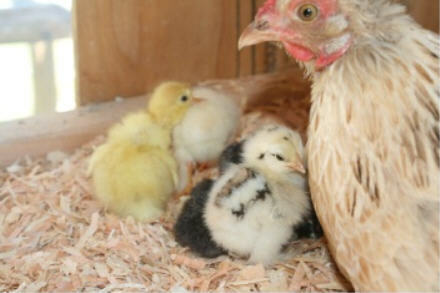 We have baby chicks. The mama is being great to all of her adopted babies. None of these babies are actually ‘hers’. They are all from eggs from other hens. 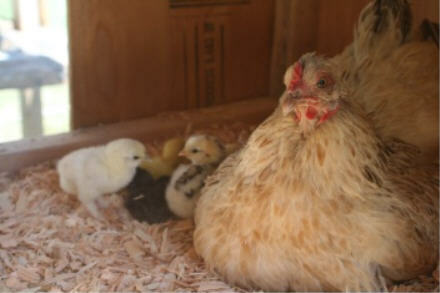 She had her mind set on being broody and I felt bad for her, so I gave her some fertile eggs. 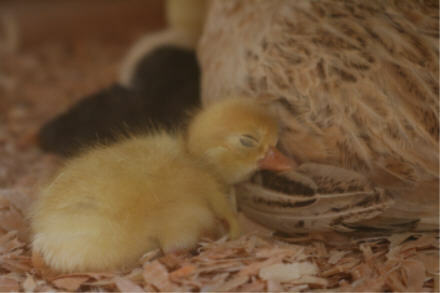 She has 5 chicks and 1 duckling. 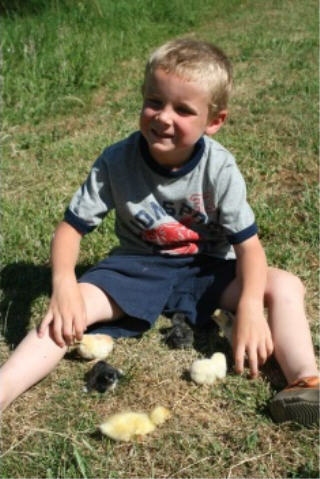 Baby chicks aren’t as fun to play with as ducklings, but he was still enjoying them. There’s a bunch of pretty colors – all the way from solid yellow to solid black. 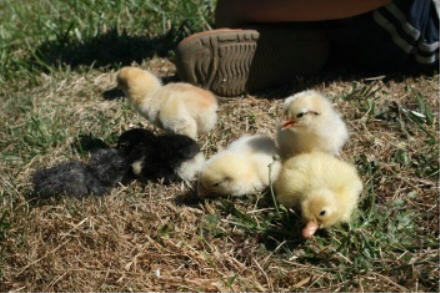 I have no idea what they will turn out like, except for the duckling 🙂 All of the chicks are some sort of silkie cross – they are the best mamas. The whole family had to be moved because we have several camping trips on the calendar and the pen that the chickens are in isn’t chick proof. They can fit through the smallest crack! My brother made these off the ground pens for me when we had the raccoon attack. 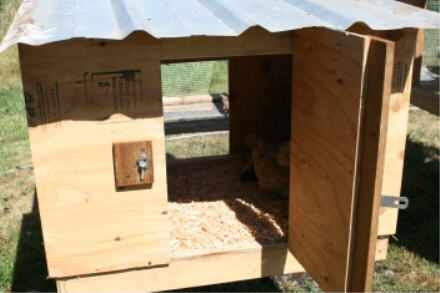 I have two that are empty and they are the perfect place for a mama chicken and her brood. ← A new blog and a giveaway! 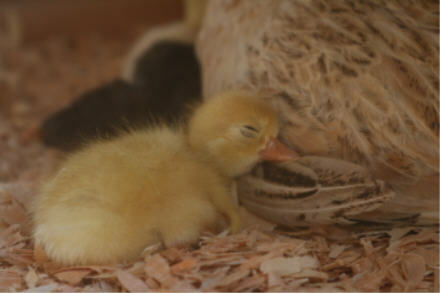 Oh, aren’t ducklings and chicks cute? 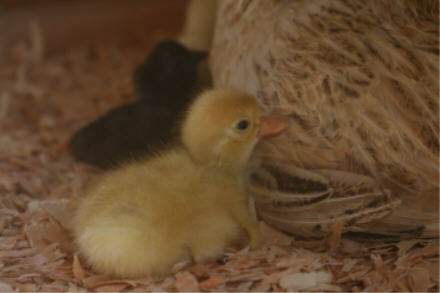 It will be fun to watch a duckling grow up as a chick, your own version of ‘The Ugly Duckling’ . 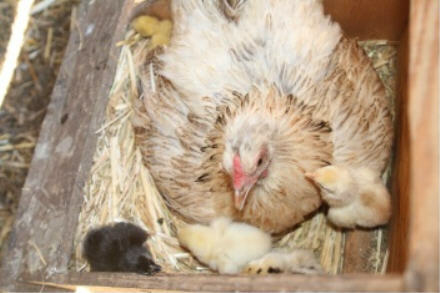 Our Narragansett turkey hen hatched out a bunch of chicken eggs that hens deposited in her nest. 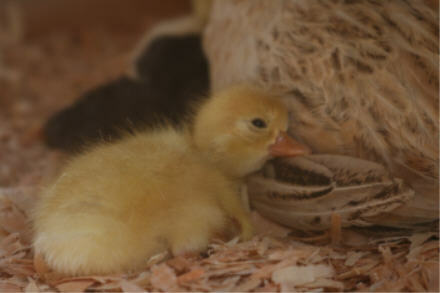 I moved them all up to a pen and left her to hatch her turkettes. She did 10 of them and then she left with them, only to return 2 weeks later without them. 😦 Next time I guess I’ll have to take her poults away too.